Now is the perfect time to spend the evening, and into the night fishing from shore. The days are hot and the bite during the midday heat is generally slow. The fish will hunker in deep water during the hotter hours of the day. Then they will start to move shallow in the evening, to feed during the night. When choosing a location to set up, try to find an area with deep water access nearby. 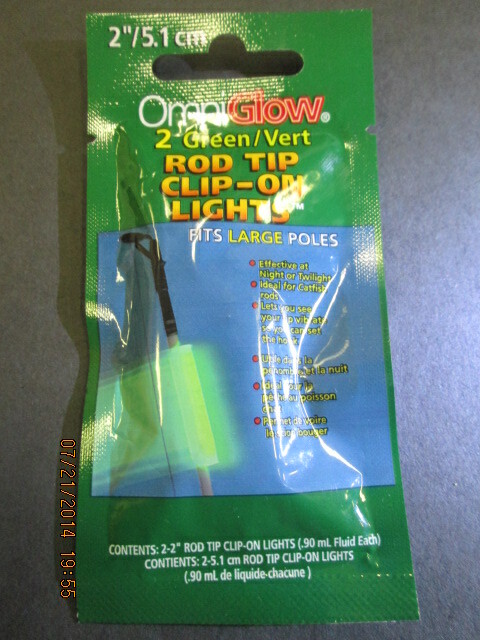 With an assortment of tackle you can target catfish, trout, crappie, bluegill and bass. 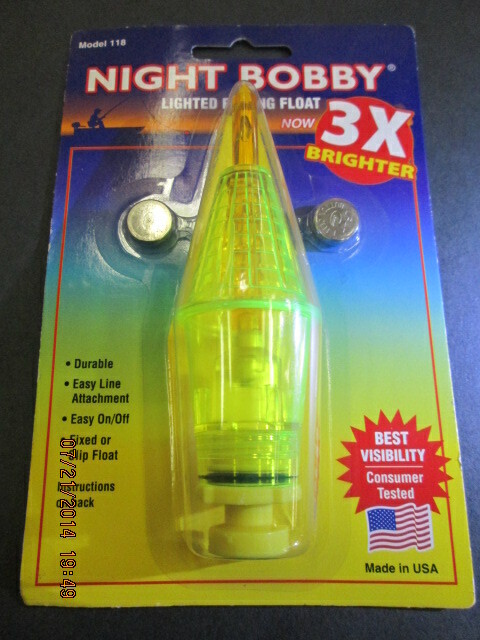 A very fun and effective way to fish at night is with a lighted bobber. 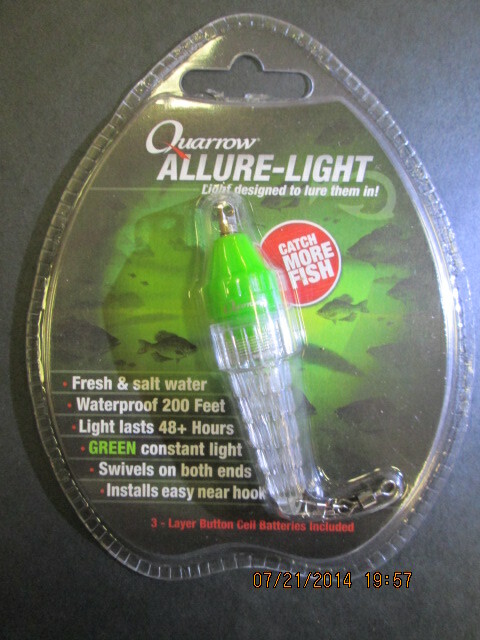 The light will attract fish and small aquatic insects. It is also a great way to detect bites visually. Another good method to use while night fishing is a standard bait rig, which consists of a sliding sinker, swivel, leader and hook. When fishing with a cast and let sit presentation, it is best to use bait that has a strong scent. Scent will travel through the water with a little bit of current. When a fish catches the baits scent, they will swim toward it and investigate. It is very important to use an alarm to detect strikes at night. Bells work well and will ring when you get a strike. Or, a clip on glow stick will let you see the slightest nibble. While you sit and wait for the still presentations to work, it is a good idea to fan cast a lure. Be sure you have a second rod stamp when doing this. 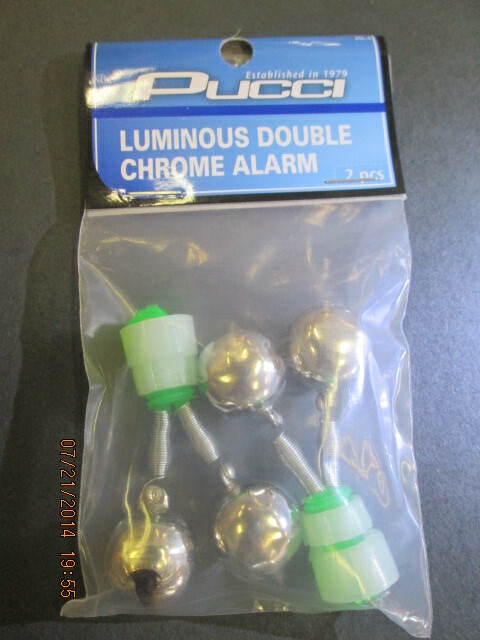 Baits that produce a lot of vibration and or have rattles work best and will draw fish from a distance. Be sure to bring a few flashlights and headlamps.